It's been a while since my last visit. I've been investigating about some tube preamps, since i've been wanting to have a multiple preamp with lots of modes and shinny lights. But I'm also lookin for a poweramp to use my preamp. I've been considering lots of poweramps: Chips (TDA/LM), transistors (ála Randall), 5w Single Ended (AX84), 20w SE, 20w Push-pull, etc. He's an active member of freestompboxes, and has some pretty interesting stuff. Guy knows his biz. And they were two projects: a Fet Micro poweramp for recording (and or practice); and some Fet poweramps. And a Celestion V30 Simulator. Three projects, like I said. I just wanna know if anyone at this forum is familiar with those projects, if someone has build 'em and have any opinion. The Micro PA looks pretty interesting. Is a kind o' transistorized version of a Marshall PA, includes OT, V30 Speaker Sim and Speaker Saturation Simulator. Those are interesting ideas, very experimental and quite far from a finished product. Not bad as a concept, but the waveforms he shows are SS type , not tube type, so the main object of getting so complex and expensive (just ask for a quotation on his output transformers) is not achieved. No te rompas la cabeza contra una pared. Just build a tried and true chip amp, from 5 to 150W; *or* a real tube one; again from 5W to 100W, and experiment with the preamp, stomp boxes, etc. I don't know... to me at least the MicroPA output looks pretty much like one coming from a generic tube amp: somewhat rounding up on the clipping onset and it even features the same type of crossover/blocking distortion mechanism due to shifting bias point. But, I think those scoped waveforms are either from running to a resistive load or the amplifier's response stays fairly linear regardless of load impedance. So the mechanism where amp's gain interacts with a reactive load is not showing up in there. Otherwise, it pretty much nails the "PP tube power amp thing". Not sure where your heading but I agree with JM Fahey's last post. That stuff is Way to complex for little benifit as a tube power stage will still be better. I did have a listen to the clip, Turning the knobs did little to effect any real change in sound. Also a servere lack of bass but that's a matter of taste. A note on tube preamps ,, it's a dog chase tail thing as the real benifit of Valves is in the power stage not in the preamp stages. So if you want to throw money at something then build a Valve power stage and leave all the tricky complex preamp stuff for SS. Cheaper and Easier to fault find for the hobby types. These days anything with an AX7 inside a preamp will sell. IME, Complex valve preamps are no better than what can be done with transistor/chip circuits. Sure if money is no object then go nuts but the cost is significantly higher with Valves. Well, the Fet PA looks interesting and the clips got me thinkin' about 'em. What i wanna do is a series of modules, pretty much like those old modular stereo systems you used to put one over the other. I cannot afford expensive preamps, rack effects or tube amps. But near to chinatown we have a place called "Paruro". Blocks and blocks invaded by stores and galleries dedicated to sell and/or make electronic components. In example, the power transformer, winded by hand, can cost me ~US$20. I know it is too complex (but I'm in denial) and with half the effort/components I could build a small chip amp. The knobs where almost useless; and I know most of the "valve" sound comes from the powertubes. But I hear it telling me "build me, c'mon..."
I saw lots of youtube videos with DIY JCM800 preamps (only) and they sounded good. And I was expecting some kind of PA to get me closer to tube sound. There are some guys who built those JCM800 2203-style preamps and used chipamps. They sounded good, but there was something missing. Now, your opinion kinda clashes with Fahey's and Phil's. And somehow, feeds my obssession. Could you tell me more about it? I see the values of the micro PA and they're pretty Marshall to me (470ohm, 10k, 4k7 tail resistor, 220k bias splitter, etc), but the structure is slightly different. And while the 5w Fet PA uses the same structure as a Marshall, it has different values. Do you have any sugestion or explanation for that? Thank you to all three, and please, excuse my lame english and my OCD. And happy new year to all of you. I'm not "clashing" with our friend teemu's opinion (far from it), because I simply didn't even *look* at the "small" Fet amp, just went straight to the "big" one, where I saw no curve bending, bias shifting, etc. at all, at least in the scope images posted by the author. All I saw there is a little top rounding, *very* easy to get by far simpler means. And the "tube artifacts" are generated in a far better way by the excellent Transtube circuit. Maybe driving a real world speaker things change. Sometimes yes, and that's good, or the World would be quite boring. If you can get that transformer wound for such a low price, and build the amplifier, go for it, and post results here. Happy Xmas and New Year to everybody, y felices fiestas para ti. I just asked the guy who designed for some info. It looks like this 2011 I'll need money, so I better start selling my body, ha ha. Que planes para año nuevo? Well if all you really want to do is play the guitar then you can waste so many years trying to perfect an amp (Glass or Sand) you may forget how to play the instrument by the time you finish. I make a personal point of not bothering very much with *One Off* builds/sites that claim or even imply they found the holy grail circuit. Unless they have evidence of there inventions being used by live working musicians or have built quite a few. The amount of times I've got excited over circuits at home only to find in real world working situations they never deliver. In close to 30 years of messing with circuits only 3 or 4 of my inventions are worth a mention. (All posted here I should Add, check under schematics) I would not be so cruel as to post circuits that I knew had possible shortcomings. You mentioned power tube sound so here is a little trick I did many years ago you might wish to try which will open your eyes about powertube sound. I simply took a small little 20 watt SS Amp and wired a series lamp limiter into the Mains power cord which produces quite convincing power amp compression. Caveat; The Amp circuit needs to be very simplistic for this to work. i.e no onboard digital FX and fancy switching circuitry. You loose some wattage but the saggy compressed sound is very reminicant of tube power stages. needed no pedals,, just a straight rock sound with nice rattle and comp when driven hard. The draw back, just like early small valve amps they sound great but only at one Volume level. shows little understanding of how to make good amplification. I won't mention names but a lot of fet preamp circuits have become so popular because they use close to exact values as those used on some famous Valve circuits and again they are far from ideal as good *Reliable* circuits. off every gate like a valve Amp and high gain on high imp = massive noise. Try reading some of this stuff before you travel down the complex path. often even the experts can miss a really simple idea. that folks like you ask. I may not agree with all of it but I'm sure it won't take long to catch on. anyway I'm just rambling on so time I went. Go to the index at Amptone and trawl through the masses of ideas. 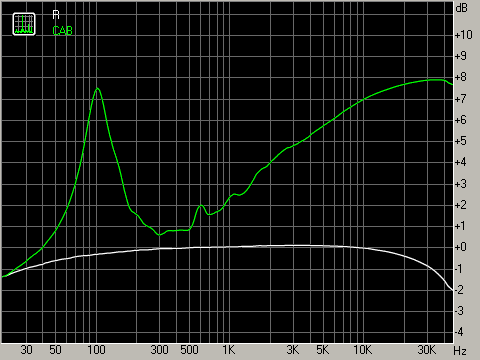 Although it focuses on tube amps and attenuation most of it is still just as relivant for an all SS rig. Not bad as a concept, but the waveforms he shows are SS type , not tube type, so the main object of getting so complex and expensive (just ask for a quotation on his output transformers) is not achieved.Just build a tried and true chip amp, from 5 to 150W; *or* a real tube one; again from 5W to 100W, and experiment with the preamp, stomp boxes, etc. Several notes about differences between commonly used ss poweramps and tube ones. Simple chip poweramps usually use very deep negative feedback. This leads to in first to very hard signal clipping & in second to very low PA output impedance. Maybe first is not so important for modern sound styles which doesn`t use PA overdrive, but for vintage sound it maybe one of the first in creating sound. For example Marshall superlead plexi doesn`t have master volume, so PA begins to overdrive far from preamp overdrive. Low output PA impedance lead to hard speaker dumping, that doesn`t allow cabinet to "breathe". Look at frequency response of transformer output fet PA loaded on active load and cabinet (voltage on PA output). Wow, excellent first post KMG. Welcome aboard! Number of turns in transformer windings on page "Fet power amplifier with transformer output" is given only for reference, because I think that you could not find exactly the same core (cross section & Bmax). So you need to calculate windings for your core parameters. Calculations are exactly the same as for the tube PP transformer. If you have calculator for tube PP transformer you can use it for calculation. Calculations based on primary coil impedance Ra-a (given on my page for each PA), desired lowest frequency (i calculate for 50Hz), core geometry & core material Bmax. Unfortunately i have articles about trnsformer calculations only in Russian. 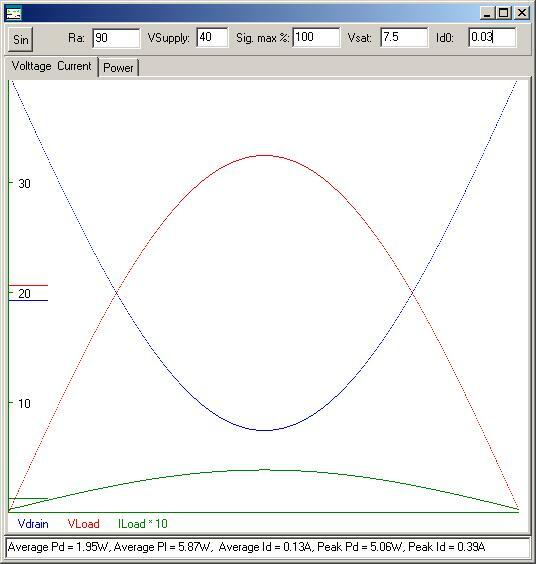 If you wish to design your own fet PA, you can use my program to select primary impedance for desired power and supply voltage. Hi KMG, thanks for posting your impressive work. To be redundant, I also was very impressed about your "day job" too, apparently into mass transportation industrial electronics. Please tell us something about that. Unfortunately i have articles about trnsformer calculations only in Russian. feel free to post some links, math is universal and text can be translated through Internet services, although sometimes it can be more garbled and obscure than the original language.